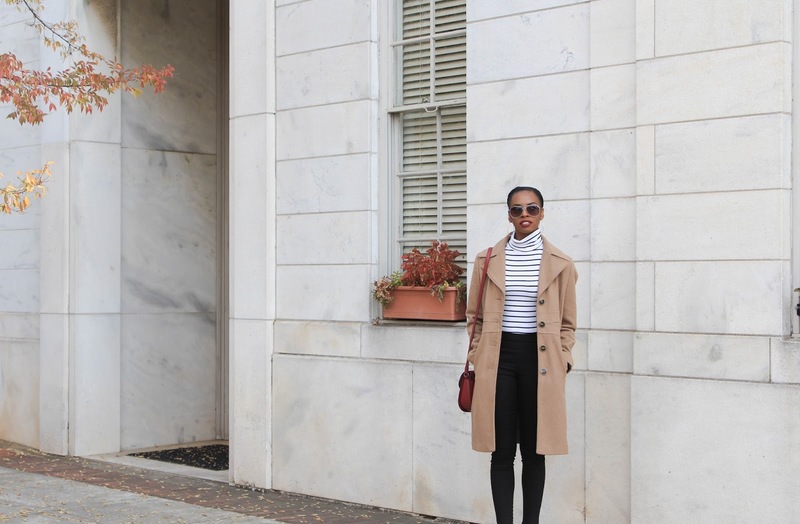 The camel coat is another closet staple everyone should have in their wardrobe. Whether it's long or short, it will spruce up any Fall/Winter outfit. 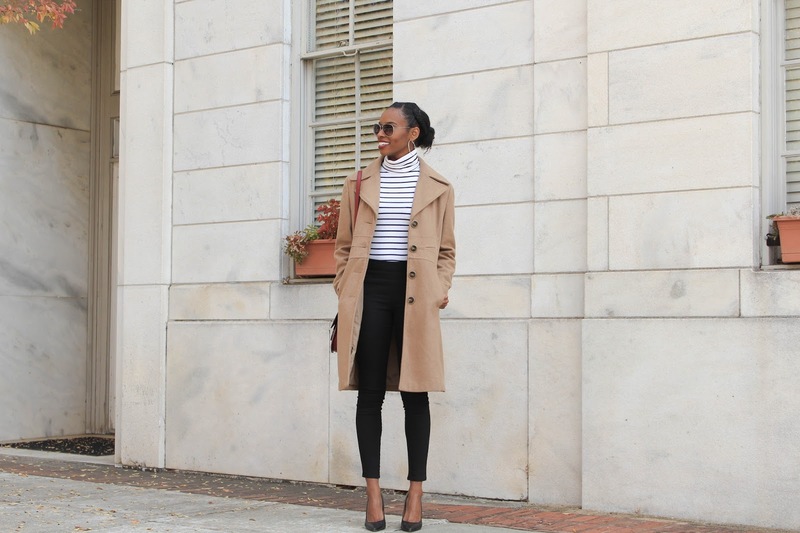 You guys know I love my basic pieces and stripes. This was the perfect combination of my style philosophy. I found this wool-blend Nine West coat at the thrift store, and it was only $25!! 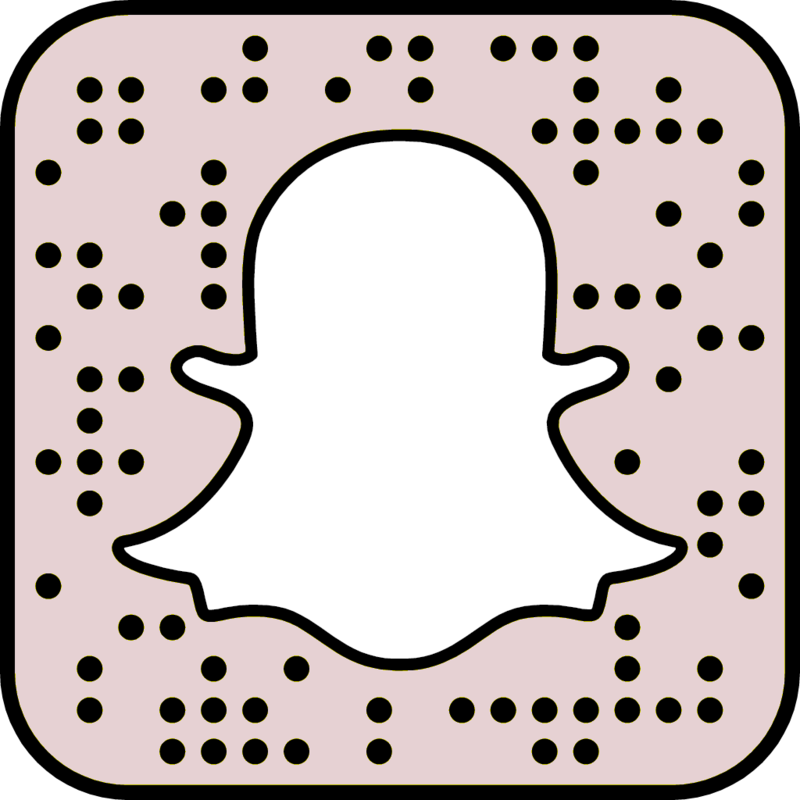 My turtleneck and pants are both from H&M, and I paired it with my Calvin Klein pumps. I added a pop of color with my French Connection handbag and a lippie from ColourPop. 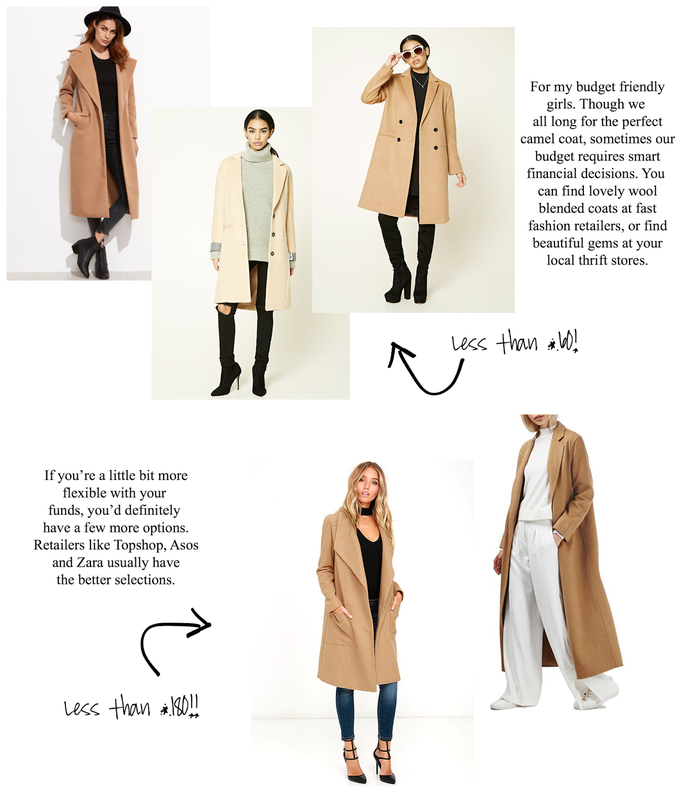 If you're in the market for a camel coat, or a new one, I'm sharing some options below!! Yes it's been on my wish list for a while.